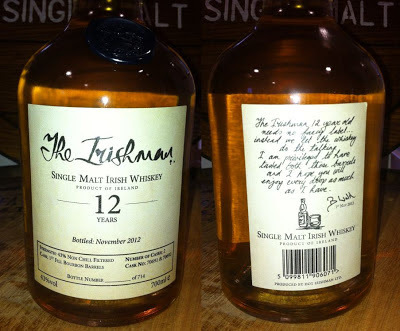 I missed the new Irishman 12 year old when it was released last November, but it's still available, luckily. It's two first-fill bourbon casks vatted together. As usual with The Irishman bottlings, I'm not allowed to say exactly where it was made. 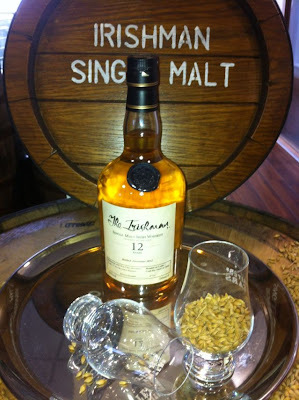 Try to think of an Irish distillery that releases triple-distilled single malts. Incredibly full aroma, no mistaking the influence of the ex-bourbon casks with the light sweet spicy notes of vanilla, cinnamon and even a tincture of clove. All balanced with apples and pears, some charred wood and freshly cut hay. The initial sip is a burst of rich flavours, sweet with vanilla delicately bolstered by black peppercorns, reluctantly giving way to a succulent fruity mid-section before slowly fading to leave a very satisfying grassy cereal conclusion. The fullness of the body fades quite quickly but leaves behind a lingering succulent flavour of barley and oak. 600 bottles of this went to the Celtic Whiskey Shop, with the remainder held back by the company. It won't be exported or available anywhere else in Ireland (not even at the airport). I think this is my new favourite Irish whiskey label. The personal, handwritten message on the back reminds me of Booker's Bourbon. 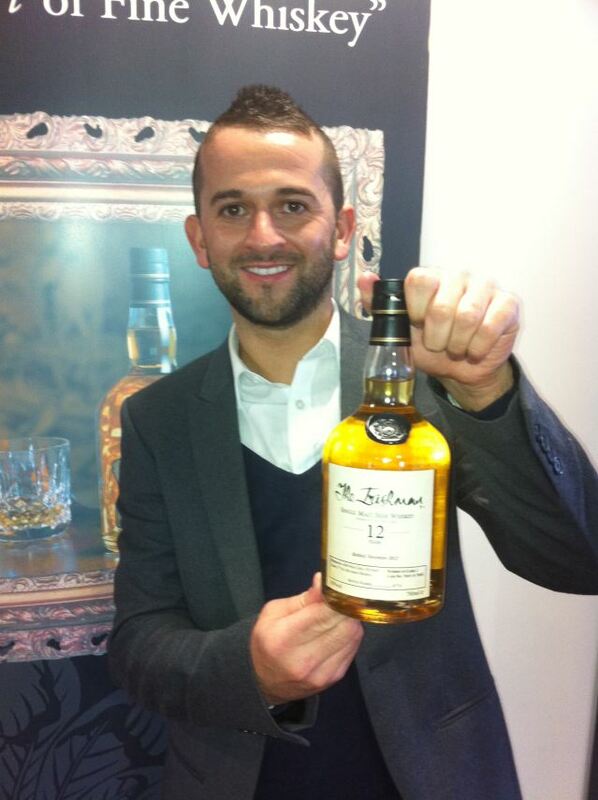 Brand Manager, Shane Fitzharris, tells me that The Irishman is getting a complete rebrand this year. Business is up 30% for the company over the last year and they now have sales ambassadors on the ground in key markets such as Germany and the US. Shane hints that 2013 will be their most exciting year yet so watch this space! Say hello to Shane if you see him! And try whatever he's pouring, it's bound to be something good.